Wow! 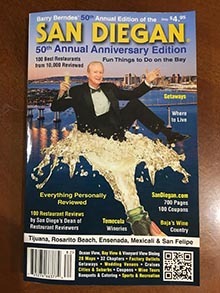 San Diego is Paradise on Earth when it comes to sun shine and outdoor activities galore be it strolling on our 54-miles of coastline going deep fishing, sailing, sunbathing, kite flying, jet skiing, tennis and golfing on its nearly 100 golf courses. San Diego has its fare share of hikers and bikers in the back country. San Diego County is also home to the largest Desert in the Continental United States. So off road sport activities also flourish in San Diego County as well. San Diego is also home to major league baseball and football. So finding fun things to do outdoors is never as issue. H&M Landing is the West Coast’s oldest, most experienced sport-fishing company, representing San Diego’s finest ocean-going passenger fleet. Whether you’re looking for the challenge and excitement of offshore fishing or a sea-going adventure on an open-party ticket or luxury yacht, H&M has the vessels, facilities & personnel. Bright Valley Farms has been in business for over 50 years and is located just minutes from Downtown San Diego. At Bright Valley Farms you’ll find over 52,000 acres of prime horseback riding trails with access to thousands of miles more for your horseback riding enjoyment. 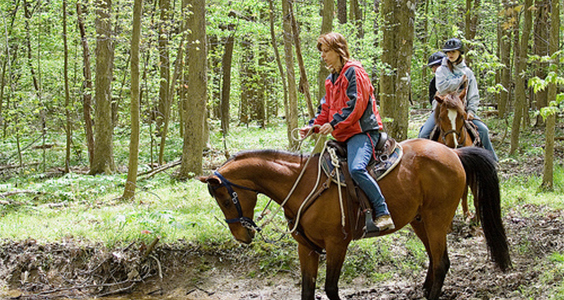 If you enjoy trail horseback riding then this is the place for you. Bright Valley Farms maintain the best rental stables in San Diego County. Bike & Kayak Tours, Inc. is equipped with complimentary lockers, changing rooms and other unique services such as a photo package, advance check-in, online bill pay and a cave entry guarantee, you’ll be able to see why they’re a first-rate outfitter. At Bike & Kayak Tours, Inc., you will encounter the highest degree of professionalism. Cheap Rentals is where you can rent surfboards, bikes, skateboards, kayaks, stand up paddle boards, bodyboards, skimboards, wet suits, fins, snorkeling equipment and beach chairs at down-to-earth prices. Cheap Rentals was voted “Best Surf Rental Shop in San Diego” and has been serving San Diego since 1998. 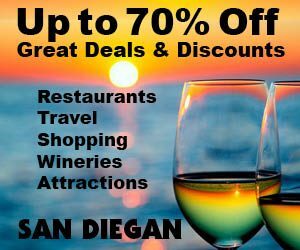 San Diego’s best kept secret is its incredible year round whale and dolphin watching just offshore. Passengers enjoy amazing sightings of Blue Whales, the largest animal ever know to have lived, throughout the Summer and Fall. 2013 was a banner year for Blue Whale Watching with regular sightings of 30+ whales. Established in 1995, La Jolla Kayak is the original ocean kayaking and snorkeling exploration outfit in San Diego County. Today, this full-service kayak, snorkel and beach rental company offers 90-minute guided tours of the spectacular sea cliffs at the La Jolla Ecological Reserve, the La Jolla Underwater Park and the Seven Caves of La Jolla. The Torrey Pines Gliderport (30) in La Jolla is the place to go for a day to remember. Come see the hang gliders and paragliders gracefully soar off the ocean cliffs at Torrey Pines. It’s a fabulous attraction! Plus, it’s free! If you’ve always wanted to fly a hang glider or paraglider, ask about their ($200) introductory tandem flight and ($150) paragliding offer.